SEATTLE–(BUSINESS WIRE)–Phytelligence, a leading agricultural biotechnology company that is revolutionizing the way food crops are grown, today announced the hiring of its new Vice President of Operations, David LeBreton. LeBreton will lead the company’s lab, greenhouse and pre-production teams in North America. LeBreton has been working with Phytelligence for the past nine months, evaluating research functions and developing an operational strategy for pre-production before stepping into his new position. In his prior role, he created a framework and procedure for assessing and introducing new products into the company’s sales portfolio. Phytelligence is an agricultural biotechnology company that is revolutionizing the way food crops are grown. Utilizing its MultiPHY™ proprietary growing techniques to provide superior quality crops, Phytelligence enables higher grower profit by increasing speed to harvest and reducing input costs. Phytelligence provides additional value to food crop growers and plant breeders through the application of advanced testing enabling guaranteed delivery of accurate plants, disease screening, plant repository services, securing of intellectual property, and the ability to co-develop new varieties of food crops. The company has a growing pipeline of biological and compound solutions aimed at improving returns throughout the food crop value chain. Phytelligence was founded by Dr. Amit Dhingra in 2012 out of his Horticulture Genomics and Biotechnology Research laboratory at Washington State University and is headquartered in Seattle with facilities in Pullman, Wash. and Portland, Ore. Learn more at www.phytelligence.com. Phytelligence, a leading agricultural biotechnology company that is revolutionizing the way food crops are grown, announced it has secured a license to propagate the PollyO hazelnut variety. PollyO is the latest hazelnut variety developed by Oregon State University (OSU) and is named after Polly Owen, a longtime expert in the nut industry. Partnering with OSU and utilizing its advanced growing process, Phytelligence will provide growers with hazelnut rootstock that is native to the U.S. The new PollyO variety provides growers with higher yields at an average of 65 pounds of nuts per tree and is resistant to Eastern Filbert Blight (EFB), a fungal pathogen that has drastically impacted hazelnut growers around the U.S. Additionally, PollyO hazelnuts blanche easily, and mature up to two weeks earlier than the Barcelona hazelnut, another popular hazelnut variety grown in Oregon’s Willamette Valley. Developing disease-resistant hazelnut varieties has been the top priority in the agricultural biotech industry because EFB has limited the cultivation of the nut. Outside of western Oregon, the majority of hazelnuts commercially sold are grown in Turkey. In addition to resistance to EFB, OSU’s PollyO hazelnuts crack easily and the kernels, along with its size, stay whole during processing – both are ideal attributes sought after by the chocolate industry. PollyO is compatible with other popular hazelnut varieties such as the McDonald and Wepster allowing them to serve as pollinizers for each other. Phytelligence is now accepting PollyO orders for delivery in 2020. For more information on PollyO, or to secure order information, please email PeterViss@Phytelligence.com. Phytelligence is an agricultural biotechnology company that is revolutionizing the way food crops are grown. Utilizing its proprietary growing techniques to provide superior quality crops, Phytelligence enables higher grower profit by increasing speed to harvest and reducing input costs. Phytelligence provides additional value to food crop growers and plant breeders through the application of advanced genetics enabling guaranteed delivery of accurate plants, disease screening, plant repository services, securing of intellectual property, and the ability to co-develop new varieties of food crops. The company has a growing pipeline of biological and compound solutions aimed at improving returns throughout the food crop value chain. 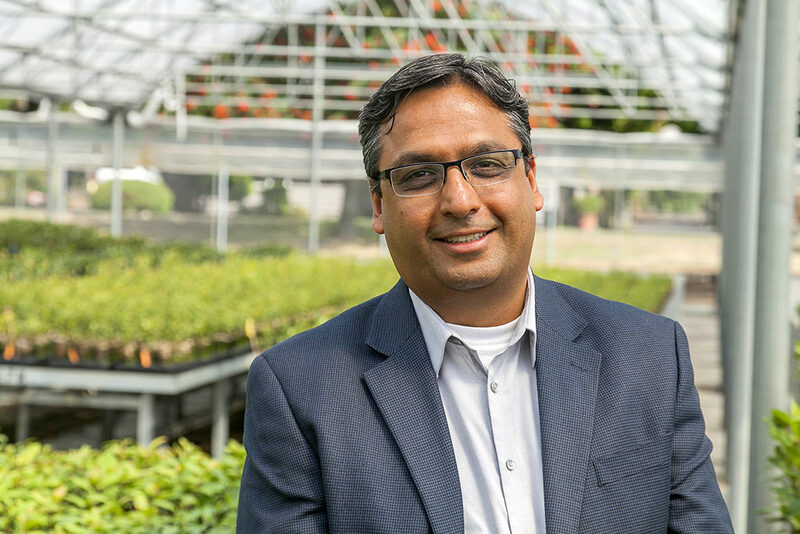 Phytelligence was founded by Dr. Amit Dhingra in 2012 out of his Horticulture Genomics and Biotechnology Research laboratory at Washington State University and is headquartered in Seattle with facilities in Pullman, Wash. and Portland, Ore. Learn more at www.phytelligence.com. SEATTLE–(BUSINESS WIRE)–Phytelligence, a leading agricultural biotechnology company that is revolutionizing the way food crops are grown, today announced the hiring of its new Chief Business Officer, Glen Donald. Donald will oversee the company’s sales, marketing and business development teams to facilitate company growth and grower satisfaction. In this new role, Donald will support and manage the marketing team to expand knowledge and continue raising visibility of the company. He will also partner with the business development leads to grow revenue, navigate new crop segments and provide the highest quality products and services that align with the needs of growers. Donald has extensive experience in the agriculture and biotech industry. Most recently, he was vice president of business development at Plant Health Care, Inc. In this role, he secured technology licensing and distribution agreements, as well as oversaw global branding, budget management and product registration for the company. Donald also served as CEO, director and chairman of Sonoplot, Inc., a technology start-up spun out of the University of Wisconsin-Madison that sells instruments for scientific research applications. In addition, Donald spent 18 years at predecessor companies of Bayer Crop Science where he held various leadership roles including technical sales representative, product manager and vice president of marketing. Under Donald’s leadership the company successfully launched a variety of crop protection products, as well as expanded business development and improved marketing strategy. 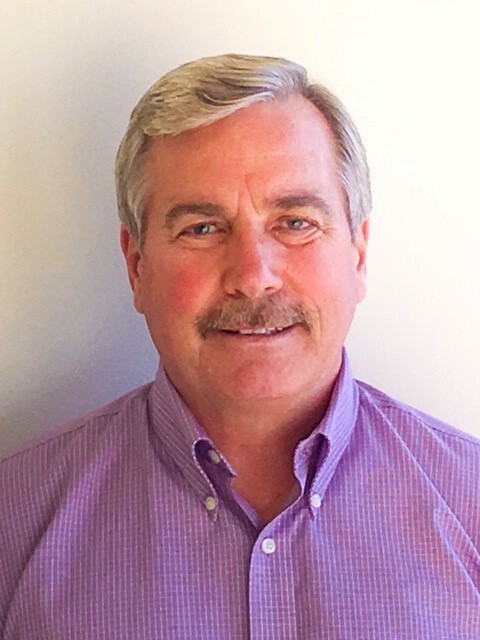 “I am thrilled to join Phytelligence and I look forward to guiding the sales, marketing and business development teams on their path to provide superior products and services to growers,” said Donald. Phytelligence, a leading agricultural biotechnology company that is revolutionizing the way food crops are grown, today announced its first Executive Vice President of Global Sales, Todd Raasch. Raasch will oversee the company’s strategic sales plan to facilitate company growth and grower satisfaction. In this new role, Raasch will manage Phytelligence’s expanding sales team, advance sales strategies in each segment, lead competitor analysis and direct implementation of sales policies and practices that align with the needs of growers. Raasch’s hire marks the company’s fifth executive hire within the past year. Other recently announced positions include four global vice presidents of sales who manage the citrus, grape, berry and hops, nut and new crop segments. Raasch brings more than 20 years of sales experience in the food and consumer packaged goods industries. Prior to joining Phytelligence, he served as the vice president of North American sales at Cooke Aquaculture’s True North Seafood. During the five years he spent as vice president, Raasch was responsible for facilitating more than $950 million in global sales, managing 20 regional sales managers and team members, as well as hiring and overseeing all broker networks. He was also responsible for “top-to-top” relationship management for more than $300 million of sales within North America food retailers including Costco, Kroger, Safeway/Albertsons, Walmart, Sysco and MGM Properties. Raasch, throughout numerous corporate acquisitions, was also a valued member of the executive leadership team at Kelley-Clarke Seafood when the company was purchased by Icicle Seafood in 2005, and again in 2016 when Icicle Seafoods was purchased by Cooke Aquaculture. From 1999 to 2013, Raasch held various key strategic roles including general manager of Kelley-Clarke Seafood, director of branded sales and senior director of North American sales for Icicle. During this time, he managed and sold resources directly and through broker networks within the U.S., Canada, Australia and Europe to deliver the highest margins and ensure increased revenue. 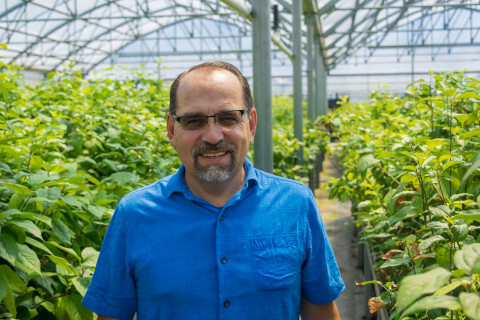 “With Phytelligence’s growers-first approach, Todd’s expertise in building and retaining successful relationships with both internal and external customers will help scale operations. His extensive North American and international sales expertise will be instrumental in managing our growing sales pipeline around the world,” added Ken Hunt. Phytelligence, a leading agricultural biotechnology company that is revolutionizing the way food crops are grown, today announced its new Global Vice President of Sales for Citrus, Gerard Bogdon. Bogdon will oversee sales of citrus varieties of rootstock, spring buds and whips among Phytelligence’s existing and new customers. Based in Florida, Bogdon will also work with Florida Foundation Seed Producers to provide growers who have been impacted by Huanglongbing disease (HLB or citrus-greening disease) with the opportunity to access true-to-type, virus and disease-free rootstock that is also tolerant to HLB. Bogdon brings more than 17 years of experience in specialty agriculture to his new role. Mostly recently, he was group publisher of the U.S. horticulture group Meister Media Worldwide (Meister Media) where he managed sales, editorial and circulation for its publications, including American and Western Fruit Grower, American Vegetable Grower, Florida Grower, Greenhouse Grower and Greenhouse Grower Technology. During his time with Meister Media, Bogdon also held roles as the southern sales representative and associate publisher where he led the company to four consecutive years of record growth. 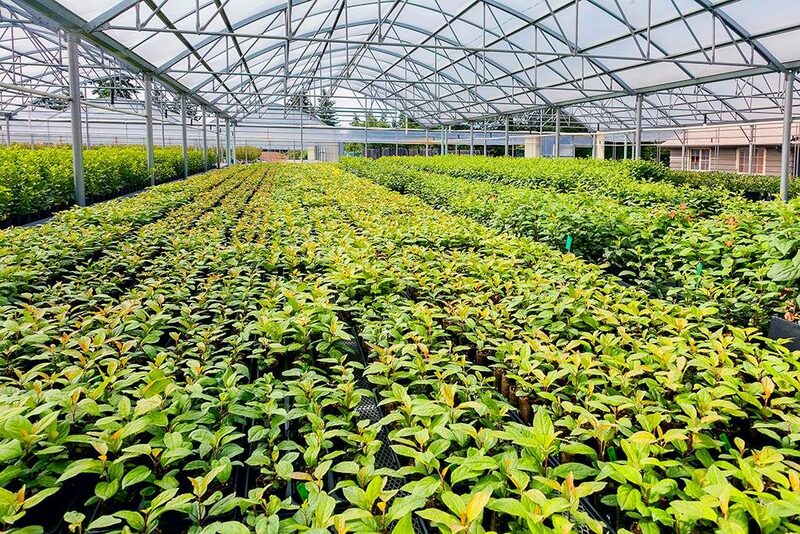 Bogdon’s expertise in horticulture is intertwined with more than 25 years in sales and profit/loss management experience. Prior to his time at Meister Media, he was the district sales manager for R.H. Donnelley Sprint, Bell Atlantic and BellSouth where he honed his abilities to grow revenue by increasing existing accounts and prospecting new relationships. Phytelligence, a leading agricultural biotechnology company that is revolutionizing the way food crops are grown, today announced the addition of Lee Cobb to its team as global vice president of sales for its berry segment. Cobb will pioneer expansion of the company’s berry sector and lead the pursuit of new customers eager to propagate berry plants and develop new varieties. In his new role, Cobb will work alongside the company’s sales team to strengthen existing relationships with berry growers and educate new customers on the benefits of tissue culture practices and planting genetically confirmed, true-to-type and disease-free berry plants. Cobb has widespread industry experience both farming and leading sales and strategy development in the berry market. Mostly recently, Cobb served as the blueberry commodity manager at BlazerWilkinson LP (BW), where he led BW’s blueberry business to $5 million in less than two years under the well-known “FOXY” label. Prior to BW’s 2016 acquisition of Andrew Smith Co.’s (ASCO) berry business, formerly Colorful Harvest LLC, Cobb was hired to help the company enter the blueberry sector in 2012; and a year later, he was promoted to ASCO’s vice president of business development of blueberries. In this role, Cobb was forefront in the successful launch of the company’s blueberry segment. Cobb was also paramount in blueberry cultivation at Bee Branch Farms Inc. (BBF) and ultimately the sale of the company in 2012. Cobb held several leadership roles during his time at BBF and also co-wrote an industry white paper, which secured an investment partner and doubled the company’s farm acreage within two years. Phytelligence, a leading agricultural biotechnology company that is revolutionizing the way food crops are grown, today announced the addition of Peter Viss to its team as vice president of global sales for nuts, hops and new crops. In this role, Viss will lead the company’s efforts to provide new and existing growers with premium planting stock in these segments. Viss will work with Phytelligence’s customer service, accounting and marketing teams to ensure growers have access to the highest quality nut trees, hop plants and new product lines. Overseeing these segments, Viss will also work to both educate growers on the economic benefits associated with planting Phytelligence’s true-to-type, virus-free plants and to respond to growers’ need for information on best agronomic practices. Viss has extensive industry experience driving tissue culture strategy, research and variety development with organizations such as Plant Genetics, Plant Research Laboratory, Brooding Bee and Honey Company, Dave Wilson Nursery and High Desert Ag. During this time, he facilitated the integration of new commercial planting practices with the introduction of the self-fertile “Independence” almond variety to Southern California and Arizona as salesman and in-house agronomist at Dave Wilson Nursery. Viss was also paramount in the development of tissue culture protocol for the commercial production of “Prunus” hybrid rootstock and the first genetic engineering of an apple as research director at Plant Research Laboratory. Prior to joining Phytelligence, Viss founded his own consulting firm, Viss Consulting in 1997, where he established four tissue culture laboratories and oversaw tissue culture programs developed for prunus, pistachio, juglans, garlic and a variety of annual crops. As owner of the firm, he provided extensive agronomy consulting to more than 20,000 acres of almond and pistachio growers, as well as a number of grape growers in wineries including South Coast Winery, David Bruce Winery, Tanner Vineyards Winery and Vindema Winery. Viss is also a pioneer in worm compost and compost tea practices. He aided in introducing this strategy to California’s agricultural market – securing more than $2.5 million dollars in sales within six years – and since, has helped companies integrate organic compost practices and advanced irrigation installations. 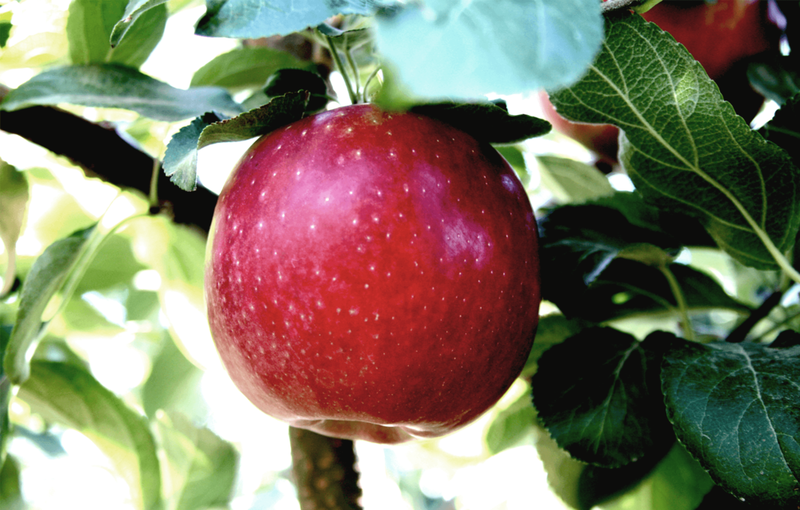 In late February, we filed a lawsuit against Washington State University (WSU) to protect Phytelligence’s right to propagate Cosmic Crisp apples and increase availability for Washington state growers. In 2012, we were granted an option for a license from WSU or its agent to commercially propagate Cosmic Crisp. We have exercised that option; however, WSU and its agents have not yet provided the license to Phytelligence. Our efforts have been met with repeated delays and misinformation, ultimately preventing us from propagating Cosmic Crisp to date. During this time, Washington state growers have been increasingly frustrated with unnecessarily restricted access to Cosmic Crisp. We recognize and value WSU’s broad and continuing support of Phytelligence; our concerns in this matter stem from the actions of a few individuals within the University. As such, concurrent to this legal filing, we are continuing to work directly with WSU to identify a mutually beneficial resolution. Given our long-standing relationship with WSU and our shared interests, we are optimistic this issue can be resolved to everyone’s benefit.